In 2019, Camp will operate January 2-4 (Winter Camp), March 18-22 (Spring Camp), July 22-26 and July 29-August 2 (Summer Camp). Camp HSR! will run during these weeks from 9:00 a.m. until 4:00 p.m. daily. There is a 10 minute window for pickups and drop-offs (8:50 a.m. to 9:00 a.m. for drop-off and 4:00-4:10 for pickup). Before-care and aftercare will be available on a daily basis at an additional cost. For the 2018-2019 school year, Tuesday School will operate from 9:00 a.m. until 3:30 p.m. There is a 15 minute window for pickups and drop-offs (8:45-9:00 for morning drop-off, 11:45-12:00 for morning pickup and 12:30-12:45 afternoon drop-off and 3:30-3:45 for afternoon pickup). Tuesday School will run for four, 6-week quarters over two semesters. Quarter 1 runs every Tuesday for 6-weeks beginning on September 11, 2018 and ends October 16, 2018. Quarter 2 will begin October 23 and the first semester will end November 27. Quarter 3 will begin February 5, 2019 and ends March 12, 2019. Quarter 4 will begin on March 26, 2019 and run through April 30,2019. Registration will be available on a quarterly basis. 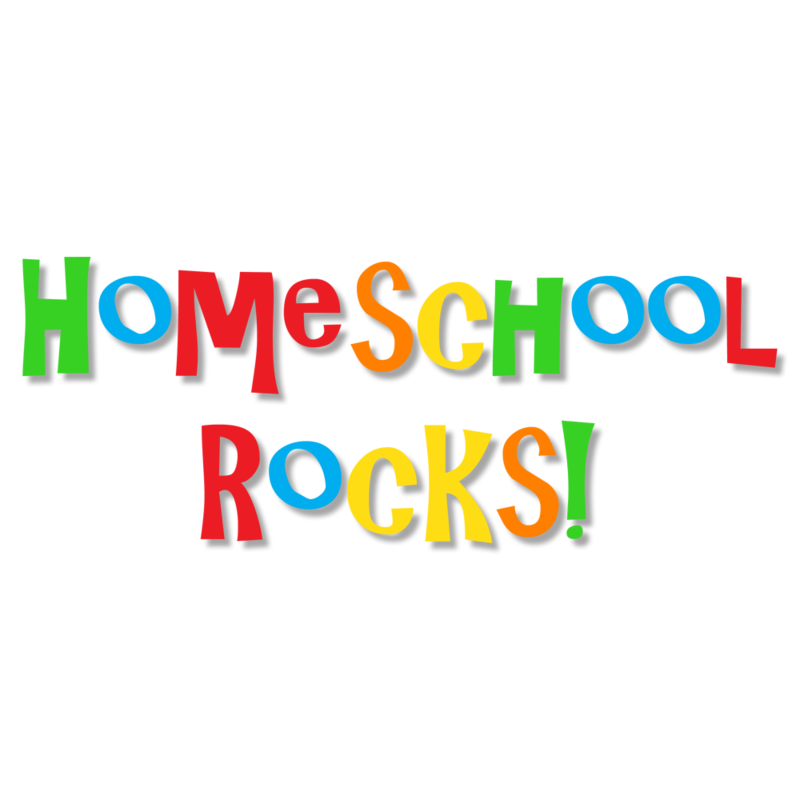 As our classes will follow a curriculum and are designed to be included in your child's annual homeschooler evaluation, single-class or single-day attendance will not be an option. The non-refundable registration fee is $25.00 per student. The registration fee is an annual fee and will carryover through any Camp HSR! programs. Tuition for camp is $40/day or $150/week. A non-refundable deposit of 50% per enrollee per week will be required at the time your reservation is made. What is the tuition for Tuesday School? Students currently enrolled will receive priority registration for next quarter. Classes will be filled first-come, first-served, based on first installment payment date. To secure your early-bird pricing, your first installment must be paid before early-bird pricing ends. Payment will be submitted in two installments. Installment 1: Half of your balance must be paid at the time of registration. Installment 2: Payment in full must be submitted no later than 2 weeks before the first class of the quarter. When and how do I pay Camp tuition? Upon enrollment, an email will be sent with payment information. Payment may be made online with a bank account or credit card. If you would prefer to mail a check, please notify us via email at info@camphsr.com and we will provide you with our mailing address. Your deposit and registration, as outlined above will be due immediately to reserve your child's spot. A follow up email with an invoice will indicate your balance. Your balance will be due no later than 1 week before your child is scheduled to begin camp. Late payments or returned checks will incur a $20.00 service fee. In the event of a late payment, your child's spot will be reopened for registration until payment is received. If your child's spot is taken during that time, the non-refundable deposit will not be returned; however, the balance will no longer be due. When and how do I pay Tuesday School tuition? Upon enrollment, you will receive an email detailing your class selections and payment information. Payment may be made in two installments. 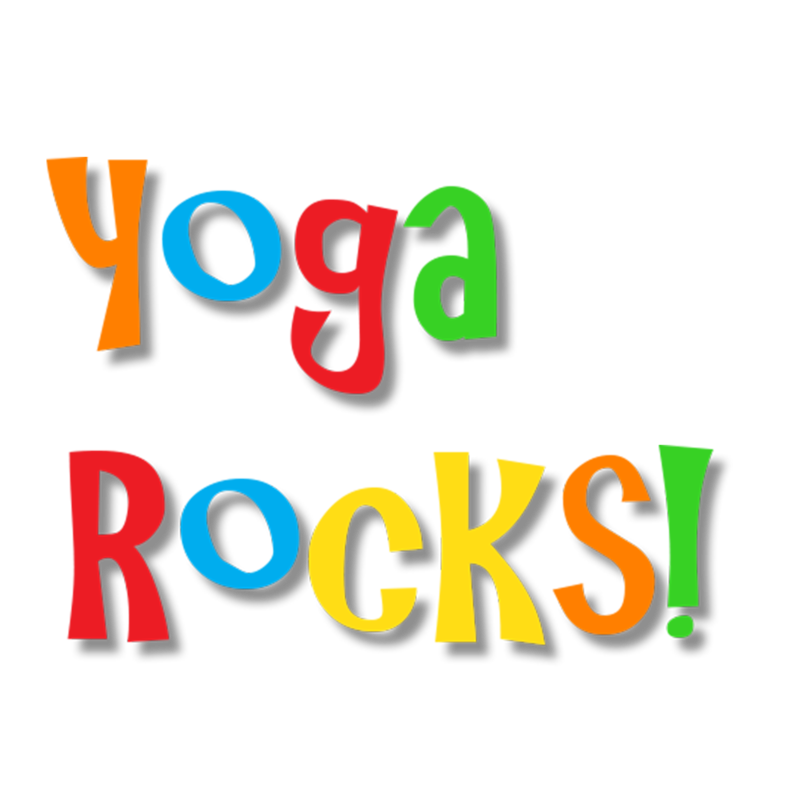 Installment 1 will reserve your class selections on a first-come, first-served basis. If you choose to participate in additional services, such as before care, aftercare, meal plans, private music lessons, tutoring, etcetera, additional fees will be incurred as discussed at the time of enrollment in those activities. What is the procedure for withdrawing my child from Camp HSR!? Parents must give 2 weeks written notice by email for withdrawal from Tuesday School for any reason. Tuition will be prorated for the unused portion occurring after the 2-weeks' notice. Refunds will not be available for summer camp within 1 week from the start date, or once camp has begun. What is the procedure for dropping off my child in the morning? Parents or authorized guardians are responsible for signing in their children each day at Room 7 and walking them to their first activity location. Parents may not drop off their children any earlier than the drop-off time indicated in their enrollment information. If before-care is available, this service requires pre-registration. Parents who arrive early, even if before-care is in place, may not leave their child if they are not enrolled in this service. We also ask that you do not be late for dropping your child off at Camp HSR! as late arrivals will cause a disruption to programs that have already begun. What is the procedure for picking up my child in the afternoon? Parents or authorized guardians are responsible for picking up their child and signing them out at Room 7 at the designated pick-up time. What if I am going to be late to pick up my child? Parents must pick up their children no later than the pick-up time indicated in their enrollment information for their particular program. If the parent is unable to pick up the child, the parent should notify the designated emergency contacts to pick up their child. Although aftercare may be available for some programs, it is necessary to preregister for this service. Parents will be charged $1.00 for every minute beyond their designated pick-up time (counting from 10 minutes past the end of camp). Emergency contacts will be called by program staff after 15 minutes. Who may pick up my child? Only those individuals authorized on the child's emergency contact form may pick up a child. A photo ID is required of anyone picking up a child. If a parent would like anyone other than those individuals listed, they have two options: The parents must send a signed note with the child, or the parents must email or call the program earlier in the day to notify staff of the change. Please send a note or email notifying Camp HSR! staff what time you will be picking up your child if it is earlier than your usual pick-up time. Before-care will be available during all days of camp for an additional $5.00 per child per day. You may drop off your child as early as 7:00 a.m. The earliest you may bring your child(ren) without enrolling in this service will be 8:50. Aftercare will be available during all days of camp for an additional $5.00 per child per day. You may pick up your child as late as 5:00 p.m. If you are late to pick up without pre-registration in aftercare, you will be charged $1.00 per minute. 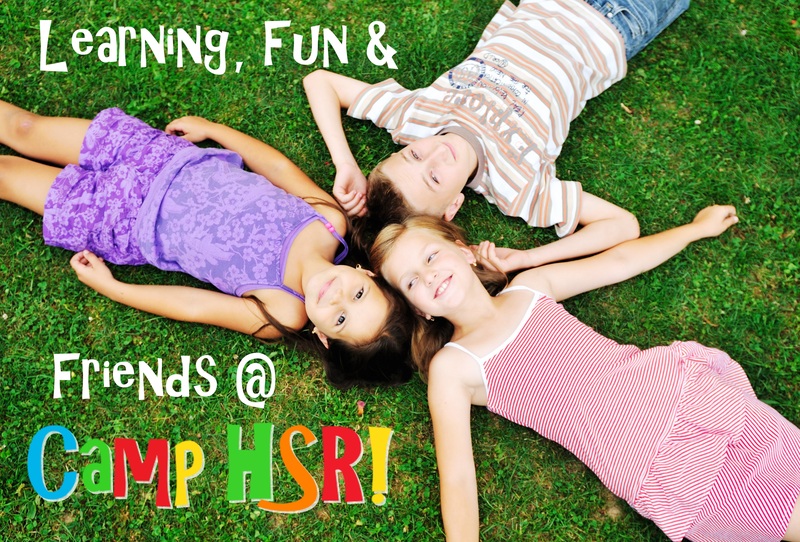 Enrollment in before or aftercare through Camp HSR! may be done on a day-by-day basis; however, it must be scheduled at least 1 week prior to the start date of camp in order for registration to be guaranteed. Late requests may be honored on a case-by-case basis. Refunds will not be given for before and after care pre-registration. If your child will be absent on a day when he or she is registered to attend Camp or Tuesday School, please email, call, or text by 8:00 a.m. on the date of the absence. Please note that tuition is not refundable and is based on scheduled attendance. Can I substitute a class or day that my child missed for another class or day? As our class sizes are capped, we cannot substitute a missed class for a program running at a different time of day, quarter, or camp week. Can class registration be shared between siblings? No, registration is per student and siblings will need to be registered and signed up individually. Do I need to send a lunch and drink with my child? For campers doing a full-day program, they will need to bring a packed lunch from home. Certain programs may include a lunch or snack option and this information will be provided upon registration. Please note that we do not have access to refrigerate or heat lunches so please plan accordingly. Will there be an option to purchase lunch? Camp HSR! sometimes provides an option to pre-order lunch for camp. Details will be available during registration. Lunches will not be provided during Tuesday School. Will there be a snack time during Tuesday School? During Tuesday School, there will be time between classes for snacks. These will not be provided; however, if you pack a snack for your child, they will have time to eat it throughout the day. This will not be a formal, sit-down mealtime, so please pack snacks with that in mind. It will be child's responsibility to dispose of garbage responsibly. Will there be a snack time during camp? Throughout the day, up to 2 snack breaks will be provided. Unless otherwise noted during registration, you are responsible for providing your child with a snack. 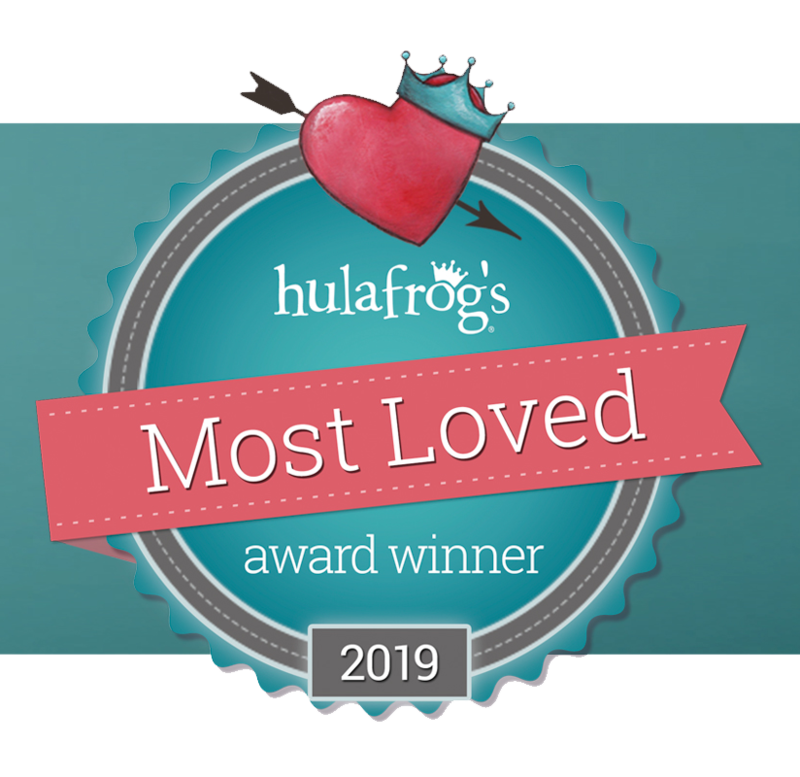 Can I send birthday treats for my child's birthday? With permission, you may provide treats for the group for your child's birthday, or other holidays. Please notify staff ahead of time so that we can let you know about any allergies. These treats will be distributed to the kids during breaks between classes or at lunch, if applicable. How will my child's programs/classes be selected? For camp, our programming will be consistent throughout the day for all campers. They may be divided into groups based on age or group size, but all children will be able to participate in all events. For Tuesday School, classes will be offered throughout the day in 6 time slots; three in the morning session and three in the afternoon. In certain cases, your child may only have one option in a particular time slot based on age, class size, or skill level (i.e. ability to read). When two classes are available for your child, you will be asked to make a selection upon enrollment. You will be provided information about all age and/or skill-level restrictions prior to enrollment. Classes cannot be toggled between on a weekly basis, as we will have limited class sizes and the teachers will be following their curriculum plans. Class transitions will need to be made between quarters. What is expected of my child in order to participate in Camp HSR!? Does my child need to bring anything from home? Class materials will be provided by the program. If anything additional is necessary, this information will be communicated to parents. If these items are brought to camp, we will not be responsible for loss or damage. Please make sure all clothing and other personal items are labeled and sent in a backpack or other sturdy bag. A pencil box containing coloring utensils, glue, pencils (and sharpener), and safety scissors. Some classes may require an additional item, listed in the course description. Lost and found will be kept by program staff, however it is up to the owner to check for missing items. We will not be responsible for any money or other valuables brought to camp by your child. Your child will not need money at any time during camp. Cell phones and other electronic devices are not permitted for campers. Use of such devices will not be permitted and the camp will not be responsible for loss or damage. If such a device is found, it will be confiscated. How will conflicts and disruptive behavior be handled? When conflicts develop between children, program staff will listen to the children and help resolve the conflict through effective communication. Children must be respectful of other children, teachers, and staff. We will apply the skills of conscious discipline (Composure, Encouragement, Assertiveness, Choices, Empathy, Positive Intent, and Consequences) to resolve the issue while involving the child/children in the solution. How will serious or continued conflicts be handled? A child may not be allowed to participate in the particular activity where conflict exists for a designated period of time, or the child may be asked to write an apology. A conference with the child's parents will be scheduled to discuss options for solving the conflict. If the conflict persists and the staff considers it irresolvable and detrimental to the program or to other children, the parents will be directed to remove the child from the program. Serious conflicts, as determined by Administrators, may be handled by immediately directing the parents to remove the child from the program. In the event of a child being asked to leave the program, a prorated refund will be offered, not to include partials days of attendance when problems arose. What is considered a serious conflict? Please note that the rules will also apply to others who may be present at camp during pickup, drop-off, or any other times. We reserve the right to remove a child from camp if the behavior or treatment of staff by parents, relatives, or other individuals with the student is considered unacceptable. What may cause my child's enrollment to be terminated? Can I send medication with my child? Program staff will not be responsible for administering medication to children and request that medicine is not sent with your child to self-administer. If your child is on any medications, however, we do ask that you notify us so that we can monitor them for any adverse reactions. If a severe reaction occurs which necessitates medical attention, we need to have their medication information available, so please ensure that the health information form has been completed and is up to date. Under what conditions will my child not be permitted to participate in camp? Children can only attend camp if they are in good health. This policy exists for the protection of ourselves, our families, and of the other children, so it is imperative that it is followed. If your child or any member of your immediate family has been exposed to a contagious illness, we expect to be notified as soon as possible. Likewise, we will notify you if your child has been exposed to any illness while at camp. If your child shows any signs of a contagious disease, please keep them at home and report their condition to us as soon as possible. If any of the above symptoms are present when you bring the child to drop-off, they will not be permitted to stay. If any of the above symptoms arise while the child is at camp, we will call you to come pick them up. You must make arrangements to have the child picked up within 60 minutes of notification. If we do not receive confirmation from you that you are coming to get your child within 20 minutes of notification, this includes leaving a voice mail, we will contact the emergency contacts you have on file. During this time, your child will be separated from the other children. How will an accident or medical emergency be handled if it occurs? If an accident or medical emergency occurs, a staff member will: administer the necessary first aid immediately, call an ambulance if the child's injury requires emergency treatment, call the parents or emergency contact, and stay with the child at the hospital until the parent or emergency contact arrives. Authorization for emergency treatment, along with insurance information, must be completed at the time of enrollment to ensure that in the event of an emergency, we can make sure your child receives the necessary treatment. Please keep this information updated. Parents are responsible for all costs involved in emergency medical treatment, including transportation, if required. How will you ensure that my child is adequately protected from the sun? Please be sure to apply sunscreen to your child before coming to camp. We will reapply sunscreen to full-day (including summer camp) campers at lunch time. Sunscreen must be sent with the child, as it will not be provided by Camp HSR! Please by sure to complete the sunscreen authorization form. How does Camp HSR! communicate information to parents? We will communicate with parents via email, text message, telephone call. Please reach out to us the same way. How do I contact Camp HSR!? You may reach Camp HSR! via email at info@camphsr.com. You may also follow us on Facebook for updates and additional information. Where is Camp HSR! located? Unless otherwise noted for the program, Camp HSR! is operated out of the Unitarian Universalist Church of Fort Myers at 13411 Shire Ln., Fort Myers, FL 33912. THIS IS NOT OUR MAILING ADDRESS. Camp HSR! is a Florida non-profit organization. We are registered with the Florida Department of Children and Families as a summer camp provider, and we carry liability insurance.